★Free Monthly 2nd Friday Lecture. Acupuncture: What it is & How it Works with Joseph Fiala, L.Ac. & Emaline Gray L.Ac. Friday, January 9th 7-8 p.m. Free. Just show up. ★Taiji Quan (Tai Chi) with Joseph Fiala, L.Ac. Outdoors at Ward Oates Amphitheatre in Historic Downtown Frankfort, KY at the start of the KY Riverwalk. Winter 12-wk semester $150. Wednesdays at 5 p.m. & Saturdays at 8.30 a.m. Register: 502.330.4233 or show up to Ward Oates Amphitheater. Click here to read more about Taiji. ★Open Meditation with Katie French, MSW, RYT. Wednesdays 6-7 p.m. By donation. Just show up! If you have never meditated before, come 15 minutes early and Katie will provide simple personal instruction. ★Multi-Practitioner Days with Joseph Fiala, L.Ac., Emaline Gray, L.Ac. & Mary Frank Slaughter, LMT, CST. Friday, January 9th & January 30th. $150. Book online or call. ★Savor it, Awake Eating for Pleasure & Health with Joe Fiala, Ph.D. Saturday, January 10th 2-5 p.m. Register or just show up. ★Introduction to Meditation with Joe Fiala, Ph.D. Sunday, January 11th 2-5 p.m. $35. Register or just show up. ★Physical Therapy Multi-Treatment with Natalie Marshall PT, DPT, Joseph Fiala, L.Ac., Carrie Seay & Jessie Bessinger. Friday, January 23rd. $150. Book online or call. ★Free Last Sunday Chanting & Meditation Group. Sunday, January 25th 10:30-11:30 a.m. Free. Just show up. ★Chinese New Year Celebration: Dinner & Talk at China Wok. Saturday, February 7th.5-7 p.m. $15-20 a head. Let us know you are coming! ★Valentine's Tea: Free 2nd Friday Lecture with Emaline Gray, L.Ac. Friday, February 13th 7-8 p.m. Free. Just show up. ★Physical Therapy Multi-Treatment with Natalie Marshall PT, DPT, Joseph Fiala, L.Ac., Carrie Seay & Jessie Bessinger. Friday, February 20th. $150. Book online or call. ★Free Last Sunday Chanting & Meditation Group Sunday, February 22nd 10:30-11:30 a.m. Free. Just show up. 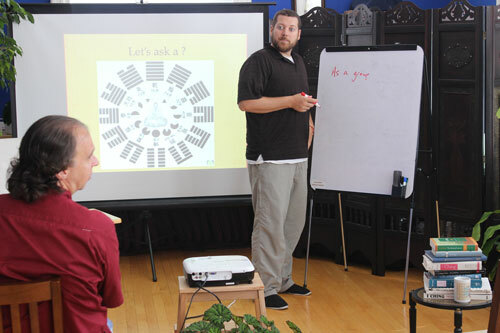 ★Multi-Practitioner Days with Joseph Fiala, L.Ac., Emaline Gray, L.Ac. & Mary Frank Slaughter, LMT, CST. Friday, February 27th. $150. Book online or call. ★Sensing Connections with Rhea Lehman. Saturday, February 28th 10 a.m. - 2 p.m. $50. ﻿﻿Register here﻿﻿ or just show up. ★Mindfulness & Meditation Introduction with Joe Fiala, Ph.D. Saturday March 7th 2-5 p.m. $35. Register or just show up. ★Spring Equinox Pendulum & Dowsing Free 2nd Friday Lecture with Deven Stone. Friday, March 13th 7-8 p.m. Free. Just show up. ★Open Meditation with Katie French, MSW, RYT. Wednesdays 6-7p.m. By donation. Just show up! If you have never meditated before, come 15 minutes early and Katie will provide simple personal instruction. ★﻿﻿Physical Therapy Multi-Treatment ﻿﻿ with Natalie Marshall PT, DPT, Joseph Fiala, L.Ac., Carrie Seay & Jessie Bessinger. Friday, March 20th. $150. Book online or call. ★Free Last Sunday Chanting & Meditation Group Sunday, March 29th 9-10 a.m.* led by visiting Taiji teacher Master Ko Pikshan. Free. Just show up. *earlier time this Sunday to allow for an outdoor Taiji intensive following the meditation. Read below for more. Ward Oates Amphitheater. Downtown Frankfort on the Kentucky River behind Liberty Hall. Open to the public. Any level of experience or beginners. Suggested $20 donation. "The Nature of the Mind and Connection with the Physical." The Light Clinic. 306 W. Main Street, Suite 609. Suggested $5-10 donation. Two 3-hour sessions with a 2-hour break for lunch. Ward Oates Amphitheater. Open to current Taiji students from all schools or interested beginners. Suggested $50 donation. Meditation in Movement Workshop at The Light Clinic. Suggested $10 donation (free to Taiji workshop participants). Similar format to Saturday Intensive. Students are encouraged to do both days but it is not necessary. Ward Oates Amphitheater. Suggested $50 donation. Ward Oates Amphitheater. Open to the public, any level of experience or beginners. Suggested $25 donation. Ward Oates Amphitheater. Open to the public. Suggested $10 donation. Taiji FOR KIDS! Workshop. Ward Oates Amphitheater. All ages welcome. A fun exploration of body movement with Chinese animal games! Suggested $15 donation. ★﻿Free Monthly 2nd Friday Lecture: Make Your Own Medicine for Spring! Will help with sinuses, poison ivy, cuts and bruises, headaches & more!﻿ with local herbalist Melissa Calhoun. Friday, April 10th 7-8 p.m. Free. Just show up. Rhea Lehman & Mary Frank Slaughter, LMT, CST. Saturday, April 11th from 10-2:30. $50. ﻿REGISTER HERE﻿ or just show up! 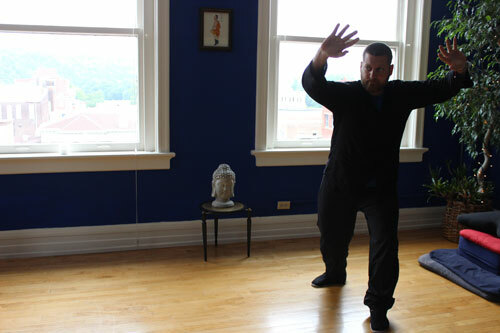 ★Taiji Quan (Tai Chi) with Joseph Fiala, L.Ac. Outdoors at Ward Oates Amphitheatre in Historic Downtown Frankfort, KY at the start of the KY Riverwalk. Spring 12-wk semester from April-June $150. Wednesdays at 5 p.m. & Saturdays at 8.30 a.m. Register: 502.330.4233 or show up to Ward Oates Amphitheater. Click here to read more about Taiji. ★﻿﻿Open Weekly Wednesday Meditation﻿ NEW TIME!with Katie French, MSW, RYT. Wednesdays 6:30-7:30 p.m. By donation. Just show up! If you have never meditated before, come 15 minutes early and Katie will provide simple personal instruction. ★Multi-Practitioner Days with Joseph Fiala, L.Ac., Emaline Gray, L.Ac. & Mary Frank Slaughter, LMT, CST. Friday, April 3rd & April 24th. $150. Book online or call. ★Physical Therapy Multi-Treatment with Natalie Marshall PT, DPT, Joseph Fiala, L.Ac., Carrie Seay & Jessie Bessinger. Friday, April 17th. $150. Book online or call. ★﻿Savor it, Awake Eating for Pleasure & Health﻿ with Joe Fiala, Ph.D. Saturday, April 18th 2-5 p.m. REGISTER HERE or just show up. ★Free Last Sunday Chanting & Meditation Group. Sunday, April 26th 10:30-11:30 a.m. Free. Just show up. ★Contentment & Meditation in Everyday Life with Joe Fiala, Ph.D. 2015: 3-part class. April-May. Tuesdays April 28th, May 5th & 12th, 5:15-7:15 p.m. Saturday, May 16th, 1-5 p.m. $125. ﻿REGISTER HERE﻿ or just show up. ★﻿﻿﻿Free Monthly 2nd Friday Lecture: Ikebana: Japanese Flower Arranging﻿*﻿ ﻿with Brooke Pohl. Friday, May 8th 7-8 p.m. Free. Just show up. *Brooke is also holding an Ikebana workshop on Saturday, May 16th from 10-Noon with guided flower arranging! Read below for more! ★Multi-Practitioner Days with Joseph Fiala, L.Ac., Emaline Gray, L.Ac. & Mary Frank Slaughter, LMT, CST. Friday, May 8th. $150. Book online or call. ★Mindfulness & Meditation Introduction with Joe Fiala, Ph.D. Saturday May 9th 2-5 p.m. $35. REGISTER HERE or just show up. ★Open Weekly Wednesday Meditation NEW TIME! with Katie French, MSW, RYT. Wednesdays 6:30-7:30 p.m. By donation. Just show up! If you have never meditated before, come 15 minutes early and Katie will provide simple personal instruction. ★Contentment & Meditation in Everyday Life with Joe Fiala, Ph.D. 2015: 3-part class. April-May. Tuesdays April 28th, May 5th & 12th, 5:15-7:15 p.m. Saturday, May 16th, 1-5 p.m. $125. REGISTER HERE or just show up. ★Mother's Day Relationship Harmony with Carrie Seay. Sunday, May 10th. 11:30-2 p.m. $25 individual or $45/couple. REGISTER HERE or just show up. ★﻿﻿﻿﻿Physical Therapy Multi-Treatment﻿ ﻿﻿﻿ with Natalie Marshall PT, DPT, Joseph Fiala, L.Ac., Carrie Seay & Jessie Bessinger. Friday, May 15th. $150. Book online or call. ★﻿Ikebana: Japanese Flower Arranging* ﻿with Brooke Pohl. Saturday, May 16th 10-Noon. $20. Bring your own container for the flowers to take home! REGISTER HERE. *Brooke is also hosting May's Free 2nd Friday Lecture on Ikebana on Friday, May 8th 7-8 p.m. Join us! ★﻿﻿Miksang Contemplative Photography I.﻿﻿ 3-part class. 2 Tuesday evenings and 1 Saturday:Tuesdays May 26th & June 2nd, 5:15-7:15 p.m. Saturday May 30th, 10-4 p.m. $150. REGISTER HERE or just show up. ★Taiji Quan (Tai Chi) with Joseph Fiala, L.Ac. Outdoors at Ward Oates Amphitheatre in Historic Downtown Frankfort, KY at the start of the KY Riverwalk behind Liberty Hall. Spring 12-wk semester from April-June $150. Wednesdays at 5 p.m. & Saturdays at 8.30 a.m. Register: 502.330.4233 or show up to Ward Oates Amphitheater. Click here to read more about Taiji. 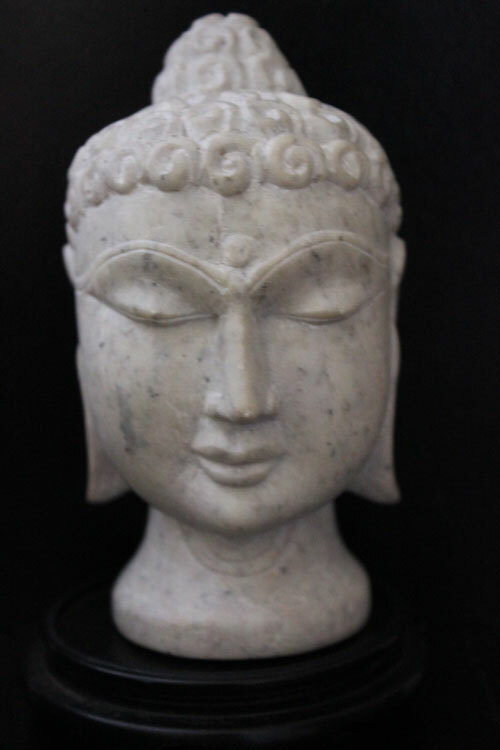 ★﻿Free Last Sunday Chanting & Meditation Group﻿ Sunday, May 31st 10:30-11:30 a.m. Free. Just show up. ★﻿Miksang Contemplative Photography I.﻿ 3-part class. 2 Tuesday evenings and 1 Saturday:Tuesdays May 26th & June 2nd, 5:15-7:15 p.m. Saturday May 30th, 10-4 p.m. $150. Register or just show up. ★﻿Free Monthly 2nd Friday Lecture: Emotional Culture*﻿ with Rhea Lehman. Friday, June 12th 7-8 p.m. Free. Just show up. 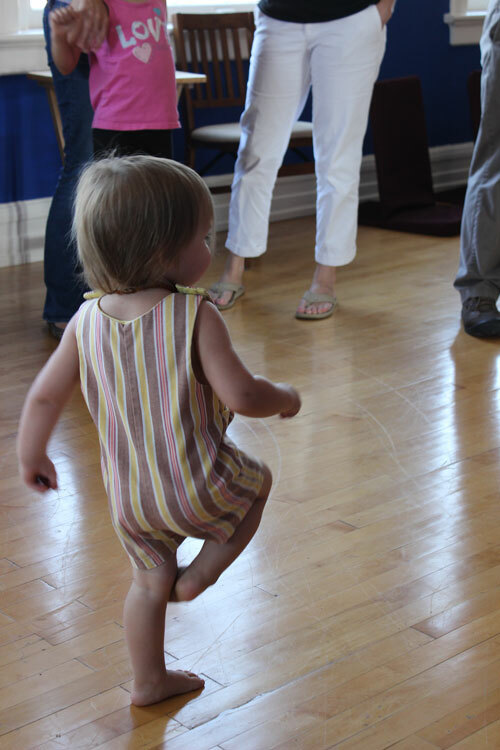 *Rhea is holding a follow-up workshop, "Learning Through Feeling," on Saturday, June 20th. Read below for more! ★﻿Physical Therapy Multi-Treatment﻿ with Natalie Marshall PT, DPT, Joseph Fiala, L.Ac., Carrie Seay & Jessie Bessinger. Friday, June 19th. $150. Book online or call. ★﻿﻿Learning Through Feeling﻿ ﻿with Rhea Lehman. Saturday, June 20th. 10-2 p.m. $50. REGISTER HERE or just show up. ★Savor it, Awake Eating for Pleasure & Health with Joe Fiala, Ph.D. Saturday, June 27th 2-5 p.m. REGISTER HERE or just show up. ★Free Last Sunday Chanting & Meditation Group Sunday, June 28th 10:30-11:30 a.m. Free. Just show up. ★Taiji Quan (Tai Chi) with Joseph Fiala, L.Ac. Outdoors at Ward Oates Amphitheatre in Historic Downtown Frankfort, KY at the start of the KY Riverwalk. Spring 12-wk semester from July 15-September 30 $150. Wednesdays at 5 p.m. & Saturdays at 8.30 a.m. Register: 502.330.4233 or show up to Ward Oates Amphitheater. Click here to read more about Taiji. ★Family Constellation Session led by Mary Frank Slaughter, LMT, CST and Rhea Lehman. Wednesday, July 8th and Wednesday, September 9th. Sessions begin at 12:30 p.m. & 3:00 p.m. Up to 3 people in 1 session. $150 a person. Book online! ★﻿﻿Free Monthly 2nd Friday Lecture: Exploring the Consciousness of Our Cells﻿﻿ with Michelle Morgan MA, CCC/SLP. * Friday, July 10th 7-8 p.m. Free. Just show up. *Michelle is also holding a workshop on Saturday, August 29th on Myofascial Self-Release techniques. Learn more! ★﻿HypnoBirthing Childbirth Class ﻿ with Amy Rickard. The 6 week class will meet Sunday evenings from 4 p.m.-6:30 p.m., July 19th - August 23rd, 2015. The fee for the class is $260 plus $40 for the cost of materials. For more information and to register for the class please contact Amy at 859-621-8198, or visit www.BelovedBirthDoula.com. *Next Hypnobirthing class will be in the fall from September 27th-November 1st, meeting on Sunday evenings from 4-6:30 p.m.
★Open Weekly Wednesday Meditation with Katie French, MSW, RYT. Wednesdays 6:30-7:30 p.m. By donation. Just show up! If you have never meditated before, come 15 minutes early and Katie will provide simple personal instruction. ★﻿Free Last Sunday Chanting & Meditation Group ﻿Sunday, July 26th 10:30-11:30 a.m. Free. Just show up. ★Physical Therapy Multi-Treatment with Natalie Marshall PT, DPT, Joseph Fiala, L.Ac., Carrie Seay & Jessie Bessinger. Friday, July 31st. $150. Book online or call. 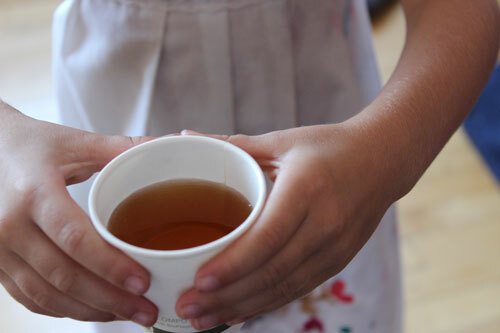 ★﻿Free Monthly 2nd Friday Lecture: Ancient Chinese Summer Tea Tasting ﻿ with Emaline Gray, L.Ac. Friday, August 14h 7-8 p.m. Free. Just show up. 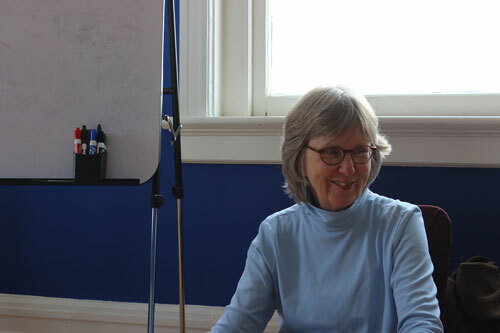 ★﻿Moving Words: A Writing Playshop﻿ with Rhea Lehman. Saturday, August 15th, 10 - 2 p.m. $50. Register here! ★Taiji Quan (Tai Chi) with Joseph Fiala, L.Ac. Outdoors at Ward Oates Amphitheatre in Historic Downtown Frankfort, KY at the start of the KY Riverwalk. Spring 12-wk semester from July-September $150. Wednesdays at 5 p.m. & Saturdays at 8.30 a.m. Register: 502.330.4233 or show up to Ward Oates Amphitheater. Click here to read more about Taiji. ★﻿Physical Therapy Multi-Treatment ﻿ with Natalie Marshall PT, DPT, Joseph Fiala, L.Ac., Carrie Seay & Jessie Bessinger. Friday, August 28th. $150. Book online or call. ★﻿Myofascial Release Self-Treatment Workshop﻿ with Michelle Morgan. Saturday, August 29th. 1-5 p.m. $50. Includes full color booklets for each of the participants, which shows and describes the techniques we will go over during the workshop. Register! ★﻿Free Last Sunday Chanting & Meditation Group ﻿Sunday, August 30th 10:30-11:30 a.m. Free. Just show up. ★Family Constellation Session led by Mary Frank Slaughter, LMT, CST and Rhea Lehman. Wednesday, July 8th and Wednesdsay, September 23rd. Sessions begin at 12:30 p.m. & 3:00 p.m. Up to 3 people in 1 session. $150 a person. Book online! ★Free Monthly 2nd Friday Lecture: CranioSacral Therapy Lecture with Jessie Bessinger. Friday, September 11th 7-8 p.m. Free. Just show up. ★Mindfulness & Meditation Introduction with Joe Fiala, Ph.D. Saturday, September 12th, 2-5 p.m. $35. Register! ★Physical Therapy Multi-Treatment with Natalie Marshall PT, DPT, Joseph Fiala, L.Ac., Carrie Seay & Jessie Bessinger. Friday, September 18th. $150. Book online or call. ★﻿Fall Equinox Candlelight Meditation ﻿with Carrie Seay. Wednesday, September 23rd. 6-7:30 p.m. $15 donation. ★HypnoBirthing Childbirth Class with Amy Rickard. Next Hypnobirthing class will be in the fall from September 27th-November 1st, meeting on Sunday evenings from 4-6:30 p.m. The fee for the class is $325 (includes materials). For more information and to register for the class please contact Amy at 859-621-8198, or visit www.BelovedBirthDoula.com. ★﻿﻿Free Last Sunday Chanting & Meditation Group ﻿﻿Sunday, September 27th 10:30-11:30 a.m. Free. Just show up. 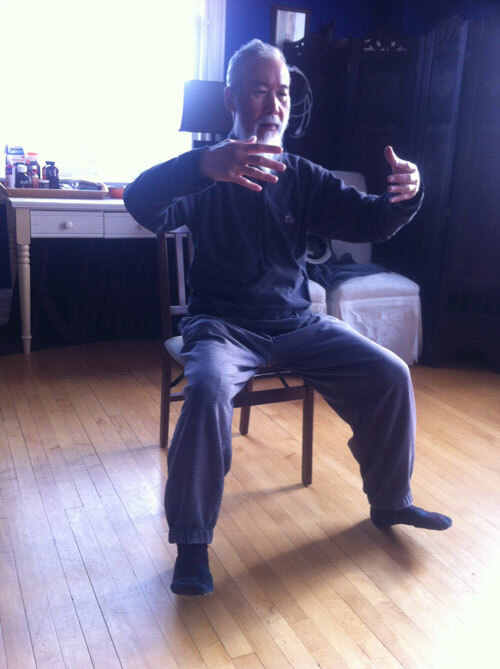 ★Taiji Quan (Tai Chi) with Joseph Fiala, L.Ac. Outdoors at Ward Oates Amphitheatre in Historic Downtown Frankfort, KY at the start of the KY Riverwalk. New 12- week semester begins! Wednesdays at 5 p.m. & Saturdays at 8.30 a.m. Register: 502.330.4233 or show up to Ward Oates Amphitheater. Click here to read more about Taiji. 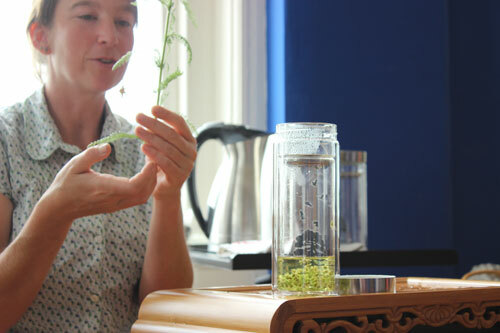 ★Free Monthly 2nd Friday Lecture: Introduction to Essential Oils and Aromatic Botanical Medicine with Blythe Jamieson. Friday, October 9th 7-8 p.m. Free. Just show up. ★Open Weekly Monday Light Stretching & Meditation with Katie French, MSW, YTT-200. *NEW TIME* Mondays 5:30-6:30 p.m. By donation. Just show up! If you have never meditated before, come 15 minutes early and Katie will provide simple personal instruction. ★﻿﻿﻿Physical Therapy Multi-Practitioner Treatment﻿ ﻿﻿ with Natalie Marshall PT, DPT, Julie Hwang, L.Ac., Carrie Seay & Jessie Bessinger. Friday, October 16th. $150. Book online or call. ★Mindfulness & Meditation Introduction, an Introduction with Joe Fiala, Ph.D. Saturday, October 24th, 2-5 p.m. $35. Register! ★﻿﻿Free Last Sunday Chanting & Meditation Group ﻿﻿Sunday, October 25th 10:30-11:30 a.m. Free. Just show up. ★Taiji Quan (Tai Chi) with Joseph Fiala, L.Ac. Outdoors at Ward Oates Amphitheatre in Historic Downtown Frankfort, KY at the start of the KY Riverwalk. Wednesdays at 5 p.m. & Saturdays at 8.30 a.m. Register: 502.330.4233 or show up to Ward Oates Amphitheater. Click here to read more about Taiji. ★Tashi Kyil Tibetan Buddhist Monks in Frankfort! November 2nd-6th. Sand paintings, house blessings, meditation, Tibetan cooking and more! Click here for their daily schedule! ★Downtown Frankfort's 35th Annual Candlelight Tour TLC Open House, Practitioner Meet-and-Greet, Tea Tasting & Sale. Tibetan Monk led kid's art workshop (click here to read more about the monks and their schedule!) Thursday & Friday, November 5th & 6th 5-8 pm. Come up and say hello! ★﻿﻿﻿﻿Open Weekly Monday Light Stretching & Meditation ﻿﻿﻿﻿with Katie French, MSW, YTT-200. *NEW TIME* Mondays 5:30-6:30 p.m. By donation. Just show up! If you have never meditated before, come 10 minutes early and Katie will provide simple personal instruction. ★﻿Stress Management through Mind-Body Awareness﻿ with Joe Fiala, Ph.D. 5-week class: Wednesdays, November 18th-December 16th. 6:30-7:45 p.m. $125. Register! ★Physical Therapy Multi-Practitioner Treatment with Natalie Marshall PT, DPT, Joseph Fiala, L.Ac., Carrie Seay & Jessie Bessinger. Friday, November 20th. $150. Book online or call. ★﻿﻿Free Last Sunday Chanting & Meditation Group ﻿﻿Sunday, November 29th 10:30-11:30 a.m. Free. Just show up. ★﻿﻿Stress Management through Mind-Body Awareness﻿ ﻿with Joe Fiala, Ph.D. 5-week class: Wednesdays, November 18th-December 16th. 6:30-7:45 p.m. $125. Register! ★Physical Therapy Multi-Practitioner Treatment with Natalie Marshall PT, DPT, Joseph Fiala, L.Ac., Carrie Seay & Jessie Bessinger. Friday, December 18th. $150. Book online or call. ★Winter Solstice Candlelight Meditation ﻿with Carrie Seay. Wednesday, December 22nd. 6-7:30 p.m. $15 donation. Register! ★﻿﻿Free Last Sunday Chanting & Meditation Group ﻿﻿Sunday, December 27th 10:30-11:30 a.m. Free. Just show up.